King Hezekiah of Judah is an interesting figure in the Bible. He is a “good” king of Judah surrounded before and after by “bad” kings. He embarked on various religious reforms in the nation of Judah more than any other king recorded, and he does so while great dangers, such as the massive Assyrian Empire, threaten to overtake his kingdom. Hezekiah begins his reign with reforms. In 2 Chronicles 29, it records what he did in his first month as king. He reopened and repaired the temple, and he encouraged the priests and Levites to rededicate themselves to the service of God. Hezekiah told them, “Now consecrate yourselves, and consecrate the house of the Lord, the God of your fathers, and carry out the filth from the Holy Place. For our fathers have been unfaithful and have done what was evil in the sight of the Lord our God…” (2 Chr. 29:5-6, emphasis mine). I want to notice a couple things about this statement of Hezekiah. It is a statement that looks to the past and evaluates the actions of their ancestors, their “fathers,” both for good and for ill. It was important to properly honor and worship the God of their fathers, but also their fathers had not done a good job of it. Indeed, the history of Judah and Israel is filled with idolatry, apostasy, and other sins that creep in with the worship of other gods. For Hezekiah, it was important to not only consider the missteps of the fathers, but to not completely abandon the past. Hezekiah looked to the examples of fathers who “got it right” and sought to emulate them as best he could. At our best, we should approach our religion as Hezekiah approached his. We need to honestly evaluate the past. We need to be willing to forsake the examples of the past that failed to live up to God’s standards, even if some of them are our “fathers.” But we also need to hold onto the examples of the past that connect us back to our God. We need to rightly and wisely discern our fathers from our fathers as Hezekiah did. Later in Hezekiah’s reign, he determined that he and the people should celebrate the Passover as it had been commanded through the Law of Moses. Apparently, the people of Judah had abandoned the observance of the Passover at some time in the past. Hezekiah wanted to return to the proper worship of the God of his fathers. He even sent invitations into the Northern Kingdom of Israel, encouraging them to return to the Lord and celebrate the Passover with them. While some of the northern people came, many of them had not properly cleansed themselves. To partake of the Passover, one needed to be ritually clean according to the law. This is an interesting dilemma. These people came to follow the law. Perhaps some of them and their families hadn’t properly served God since the split of the kingdom nearly 200 years ago. But even now, they were not following everything that the law required. Hezekiah prayed for his northern brethren who made an effort to serve God but were not perfectly clean: “May the good Lord pardon everyone who sets his heart to seek God, the Lord, the God of his fathers, even though not according to the sanctuary’s rules of cleanness” (2 Chr. 30:18-19, emphasis mine). What made the northern Israelites who attempted to worship God, but failed to follow the law of God different from “the fathers” who also failed to follow the law of God? It seems to me that it is what Hezekiah identifies: the heart. Even today, none of us are saved by following the law completely. “All have sinned and fallen short of the glory of God,” Paul says in Romans 3:23. Later on, when talking about differences in worship to God he says “Let not the one who eats despise the one who abstains, and let not the one who abstains pass judgment on the one who eats, for God has welcomes him. Who are you to pass judgment on the servant of another? It is before his own master that he stands or falls. 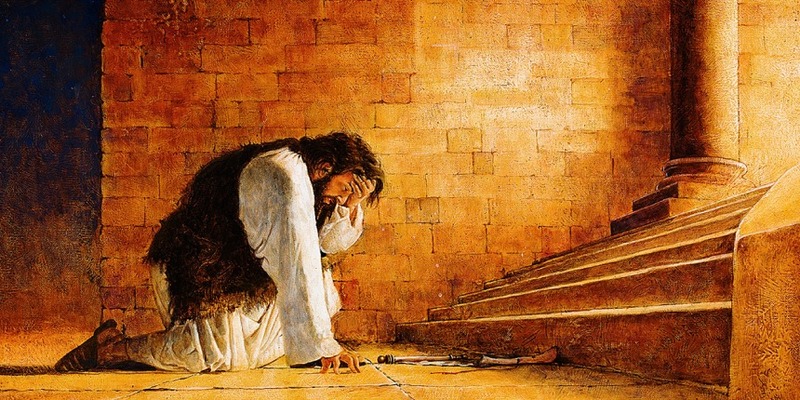 And he will be upheld, for the Lord is able to make him stand” (Romans 14:3-4). In the context of this statement, this is about differences in worship to God. Some people are convinced the right way is this, while the others are convinced the right way is that. Without getting into all the possible interpretations for this verse and what it could mean, I want to bring your attention to the last statement. It is not our “rightness” that makes us able to stand before God. God will accept the worship from both, for God is able to make them stand. So does this mean that it doesn’t matter what you do in worship as long as you think you’re doing the right thing? By no means! Hezekiah’s entire reform efforts started because it means a great deal what your worship is. But we must also acknowledge, as Hezekiah did, that we are imperfect, and it’s ultimately not how perfectly we do something, but our hearts and the grace God gives us that makes us able to stand. There is a bridge here from last year’s theme to this year’s. We must learn, as Hezekiah did, to bear with one another, which includes our failings and weaknesses, how we often don’t live up to the word of God in our own lives. But also, as we follow the command to “Go into all the world and proclaim the gospel to the whole creation,” that just like the northern Israelites, the people we call may not be “perfect.” In fact, they most certainly will not be. Let us pray for them as Hezekiah did for his distant brothers. Let us be an encouragement to them. Let us help them to know God more fully and let us humble ourselves to allow God to be the judge. And it will be by God that he will make us all able to stand.